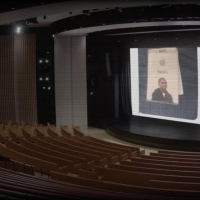 24 Mar on Apple’s official website has launched an online broadcast of theatre of a name of Steve jobs on the campus of the company. 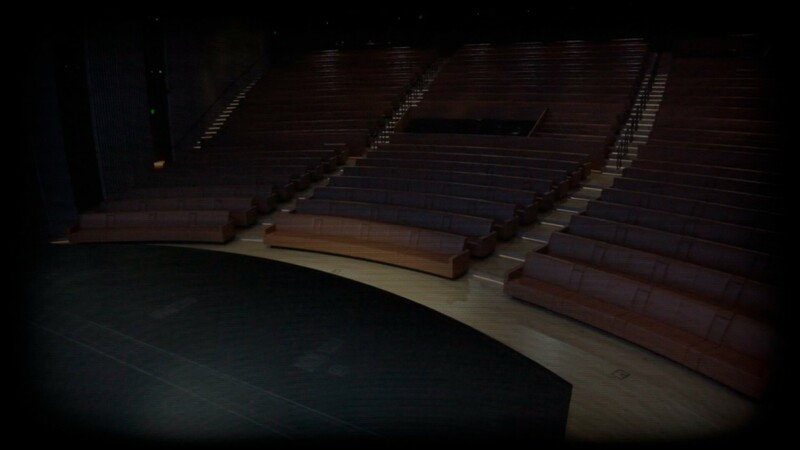 It was there that on 25 March at 20:00 GMT Tim cook will begin the spring presentation, where shows new products. 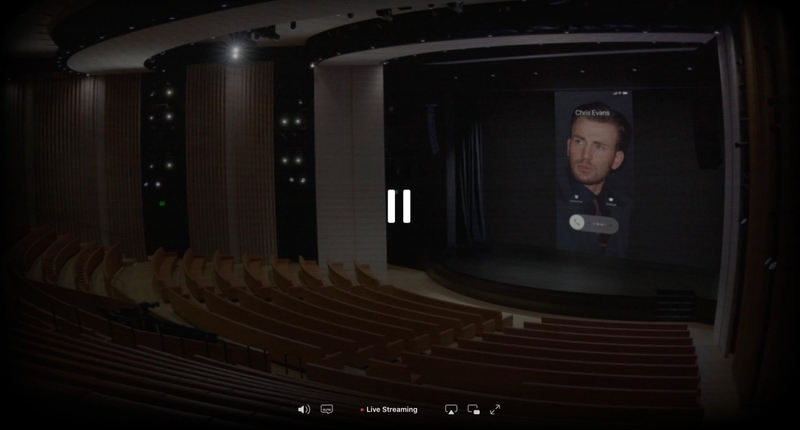 It has been over 19 hours since the launch broadcast of an empty hall. Why? We are waiting for an unusual announcement, so the format they came up out of the box. During this time, Apple showed a small «Easter eggs» hinting at the announcement. Gathered them all to pass the time in anticipation of the event. For a text stream with photos you can watch our LIVE channel in the Telegram. One of the first action — call the performer of the role «Captain America» in Marvel movies Chris Evans. 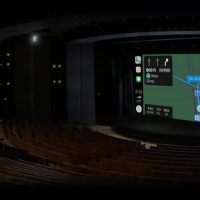 The screen displays the interface of the iPhone ring tone with the incoming call, but a tube nobody took. According to leaks, the actor will star in the mini-series on Defending Jacob the book of William Landay for streaming service of Apple. Perhaps Evans will participate in the presentation tonight. Later, the speakers began to play a 19-second quote of the famous Director M. night Shyamalan, who directed «the Sixth sense», «Unbreakable» and «Split». According to the same rumors, Apple will release the Thriller from night Shyamalan with Rupert Grintm, Lauren Ambrose and Nell tiger Free in the lead roles. A few hours later on the screen appeared the boy Schroeder of the American comic strip Peanuts. He played the piano for Beagle Snoopy. Sources claim that Apple will release a series of animated films based on the comic book. 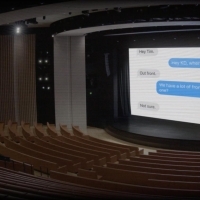 Journalists Macrumors managed to capture on the theater screen screenshots correspondence with Tim cook basketball «Golden state Warriors» Kevin Durant. 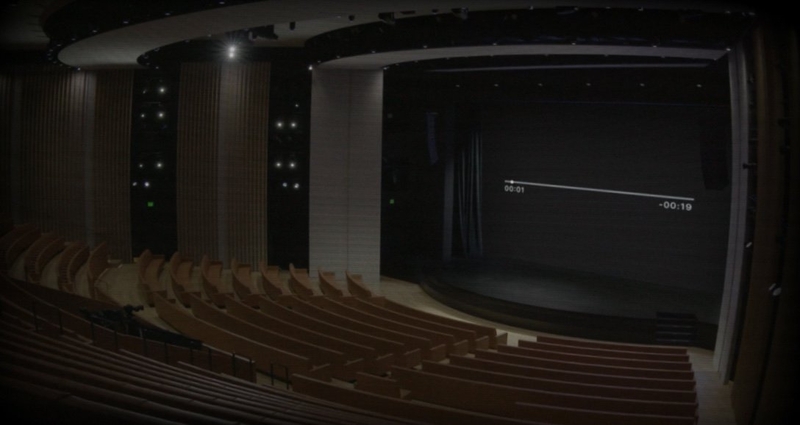 The athlete said that it is already near the Apple campus in Cupertino and sent a photo of accreditation. Specifically for the Apple TV will take the series to the Swagger of his youth, Kevin. Not all actions apply to some hints. Apple also likes to joke. Therefore, in the intervals of «Easter eggs» in the frame appeared the cleaners, the security guard with a flashlight, and at some point unknown I set up the microphone and read a poem by the American poet Emily Dickinson. In addition to this, the screen showed screen savers and video from the lunar surface. 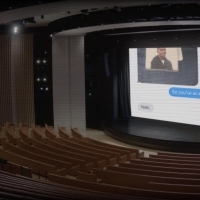 At the end of the broadcast, the theater was visited by unknown with a pack of popcorn. It occupied the Central place, and understanding that came early, left the room. Stream ended after 19 hours after the start. 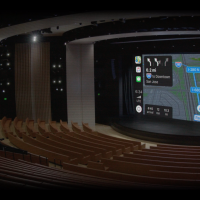 The last hour on the screen showed the display CarPlay someone’s car. Unknown was driving from Los Angeles to Cupertino to Steve jobs. This action was accompanied by the recommendation of the assistant Siri. Once the object has reached the desired point, the online stream stopped. It will resume at 20:00 GMT. Meet at our LIVE channel in the Telegram!